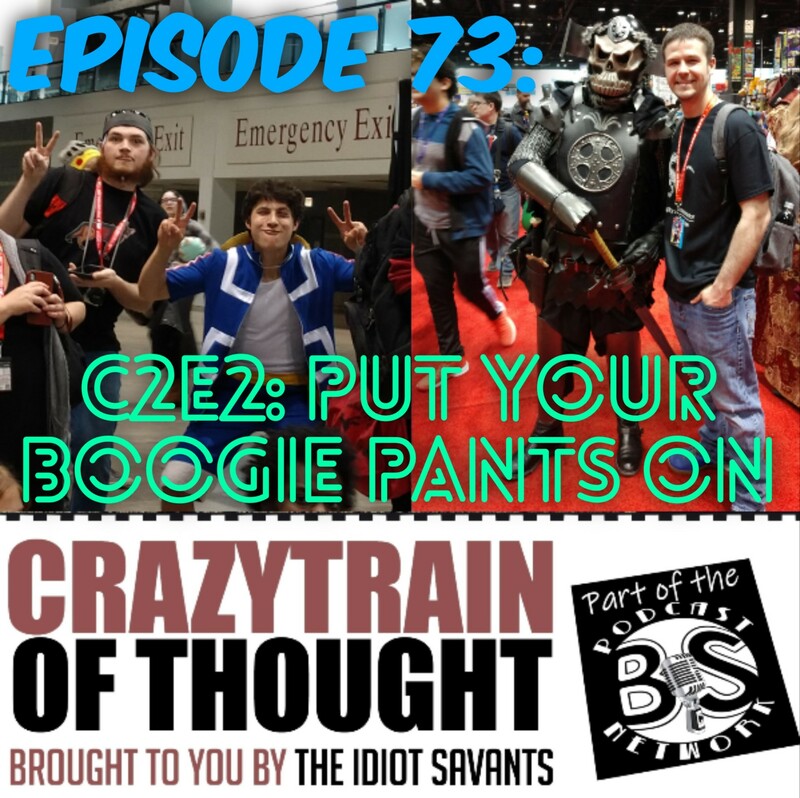 ALL ABOARD for the Crazy Train of Thought podcast brought to you by The Idiot Savants, the best podcast at C2E2 aka Chicago’s comic con! This week’s episode was recorded partially on location so join host Ryan Wolf and his cadre of compadres comprised of Pokemaster Troy Osborn, comic book aficionado and Deadpool 2020 supporter Cody Slabaugh, and fan-favorite Sammy “Dance-master” Romero as we talk about everything and anything that happened during Chicago’s Comic Convention and Entertainment Expo! The Idiot Savants go to C2E2! Featuring music from The Abyssal Ride!